Orion inspires the romantic imagination that all is alive. and to drink the endless cosmic wonder. The nearby creek sings a gentle lullaby for my sweet dream. happily wandering creatures do what they want. I feel like primordial innocence is regained. Pants and belt look weird. especially at the thing called underwear. Redwoods don’t own bank accounts. All redwoods are simply redwoods. 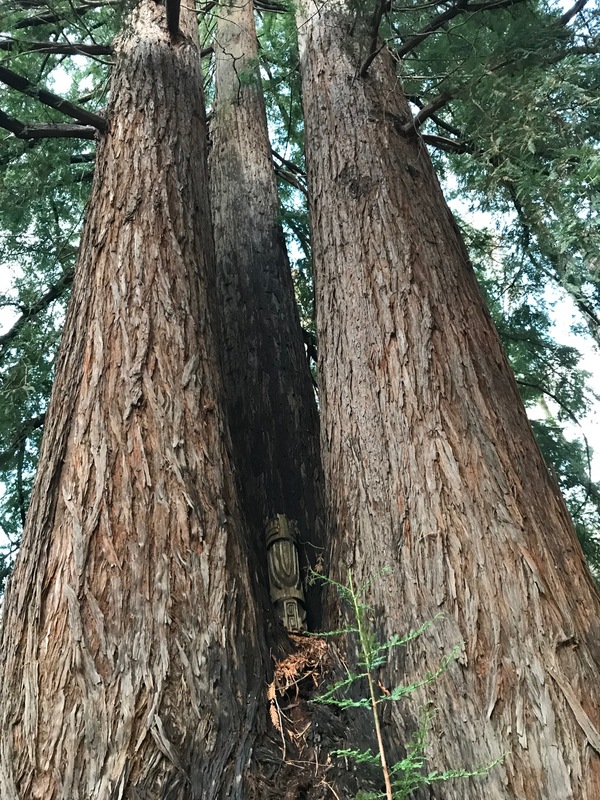 Not even one redwood says “I am richer than that redwood”. The red madrone makes no claim of being more beautiful than that little bush. Wild poppies seem happy to see me. They offer me the nicest smile to warm my little frozen heart. I’m right now swimming in it. I’m the sea and the swimmer. I don’t know where they went. or they are on a temporary sabbatical. I’m held in the indescribable benevolence of the universe. Invisible forces tell me that I’m complete. This is the first time I feel that every cell in my body is sacred. This is the report from one night’s expedition into the mountains. I hope you all come here to see this.